Note: If you have an Android 3.x tablet, it is recommended that you download Splashtop Remote Desktop HD. This version features enhanced performance and is optimized specifically for Android 3.x/Tegra-based tablets. With this app, you can control your home computer from your Android device via Wi-Fi or a 3G/4G connection. Get Splashtop Remote Desktop and you can view your desktop, use your regular Web browser with your plug-ins and bookmarks, and access all your important PowerPoint, Word, Excel, and Outlook files. Want to listen to music or watch movies that are "trapped" on your computer while you're on the go? Not a problem. 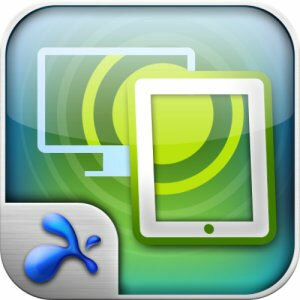 Splashtop Remote Desktop can smoothly stream high-res video and audio from your PC or Mac to your Android device. Watch videos in any format (including Flash), listen to your entire music library, and play PC games to your heart's content. Note that to use this app, you must also install Splashtop Streamer on your home computer; this can be downloaded free from Splashtop's website. A dual-core CPU is strongly recommended for the best performance. Splashtop Remote Desktop works only devices running Android OS 2.2 or higher. It supports all versions of Windows 7, Vista, and XP, including Home Premium. Mac users must have at least Snow Leopard (10.6).